NiceJob chats with best-selling author Shep Hyken and learns the secrets of getting more reviews! Click the link above to listen to the full interview on SoundCloud or tune in on the Podcast How to turn customers into Superfans on iTunes. Hello everybody. 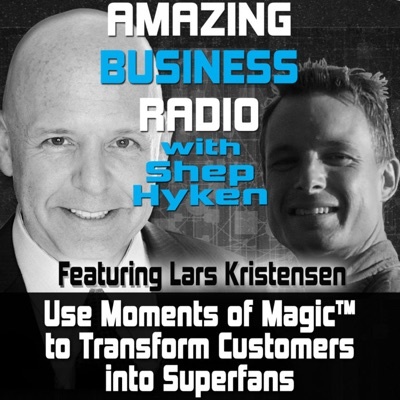 Shep Hyken here on Amazing Business Radio with another amazing episode. 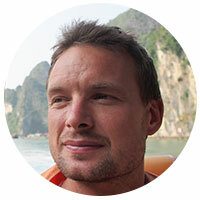 This time I'm excited because we have Lars Kristensen, the founder of NiceJob. And we'll tell you what NiceJob does, but the basic way I could put it to you is if you deliver great customer service, you want the world to know about it, and you want to take advantage of it, then Lars' company, NiceJob, is the company to call on for that help. Lars, welcome to Amazing Business Radio. Did I give a good explanation? Is that really what you guys do? Because I think that's the way I see it. Hey, Shep thanks so much for having us on today. That was a great explanation. Our whole purpose is helping companies that do great work, companies that provide the best customer service, to get the recognition they deserve. So everything we've built is built around that. Helping you get a great reputation and then helping everyone else know about that reputation. Great. And we'll get into the nuts and bolts of it real soon. But first a quick little background. How long has NiceJob been around? So we officially launched in January 2017. So that's 15 months or so. Yep. Cool. So you're new, but, but your background has been in marketing and in ad agency work, I think you were involved with an agency in Toronto, is that right? Yeah, I cofounded an ad agency in Toronto. We worked a lot with a kind of Fortune 500 style clients. After that experience though, what really stood out was what was wrong with marketing - that it was so often based on how much budget a company had rather than what kind of work or product they actually delivered. So that's where we broke off and we started doing something different to help companies that actually do great work, you know, help the people who deserve that reputation. And that's where NiceJob was born. All right, so I'm going to make sure, this is a little bit putting you on the spot here, you said you felt that there was really a disconnect. I mean it seemed the only companies that you were working with were companies that had the budget. So you're saying guys like me that don't have the budget can call you? If I'm doing great work, basically what you're saying is that you have a different type of approach. That you don't need a big ad agency type budget to work with a reputation management firm that will help you get it out there in a very efficient and cost effective way. I think that's what you're saying. Exactly. It's all about letting your customers do your marketing. So instead of having the hub of your marketing being an overpriced agency, having the hub of your marketing being each individual customer that you work with and then getting those customers to be vocal fans of your company. And that's going to have so much more trust factor with future customers. It's going to have better reach. And it's going to cost you a fraction of what you spend through the agency world. So it's a fantastic way of doing marketing all around. So I think Lars, I think this is going to appeal to an awful lot of people listening to the show. And your company is NiceJob. NiceJob.co (not .com) I will make sure we mention that a couple of times throughout the show. All right, so I'm going to ask you, who help many companies manage their reputation, why or basically how does great customer service impacts sales? Now, I know that's a very simplistic question but this is a big part of what you do. So I want to get your take on it and why you think it's more important than anything. Well, if you want to turn your customers into raving fans, it's all going to start with that experience. And we talk a lot, just like what you do Shep, about creating this memorable customer experience, even more remarkable customer experience. And little things that can make your company stand out in your customer's mind as 'hey, this wasn't just another experience, this was a special experience'. If that translates into the customer leaving a fantastic review for you or telling their friends, you start getting that viral nature of the customer's feedback. And then, better yet, on top of that, you're also going to increase the customer's loyalty, decrease churn, you're going to get more money over the long run from the customer. You just got a win win on every level when you provide that extra customer service. Right? And your repeat customers, or should I say loyal customers, not only come back and do more business with you, but they spend more on average than a regular customer. So that's another way of looking at the advantage. So one of the things you mentioned, and I love, I'm going to give you an example. And I've used this example on this show, it's been a long, long time. One of my favorite restaurants to go to his Morton's, it's a great steakhouse. And one of the reasons I love them is not only are they good, but I had the privilege and honor of working with them as a keynote speaker at one of their meetings many years ago. And their CEO at the time, a very friendly guy, Tom Baldwin, a great guy, one of the things he talked about was the marketing and advertising budget at Morton's. And yes, they do some social media, but you don't hear Morton's on the radio, you don't see Morton's on a TV ad. What you get is raving fans. And he said his marketing department is every employee that makes sure that the guest walks out with a great experience. Yeah. Fantastic example. And that's what it's got to be. You know, the other day we had this new customer and he was a great guy. We met him at a trade show and after we were chatting with him, he recommended a friend to us. We thought 'oh, what a nice customer'. And one of our team members, it wasn't me either, one of the other team members said 'you know, we've got to make something special for this customer'. So he checks out his facebook profile. Finds out which NFL team that he likes. Gets an original team jersey ordered in his size, delivered off to that customer the next day. You know how many guys he's recommended since then? I think he wants to have a whole team. Yeah. And those tiny gestures, it costs you peanuts. And in the lifetime you've just created yourself a forever advocate. So I love that. Now I have a buddy of mine, John Ruhlin. You know John? John's an awesome guy. This is right up his alley. He is the author of Giftology. And so John's idea is you buy something personal like that. You find out he's got a favorite NFL team. You get him a jersey. By the way, that jersey didn't have your logo, NiceJob written on it, did it? But I'll guarantee you he remembers, every time he looks at that jersey, or puts on that jersey, he will remember where it came from, won't he? Isn't that cool? Isn't that cool? And I love that. And that's a big lesson and you know and we're going to have to have John back on the show again real soon. I've had him on a couple of times. But I just love the emphasis on if you're going to give a gift, give something that's meaningful and unforgettable and make it count and have it be unexpected on top of it. And I mean who would have expected that he would have gotten that? A friend of mine, Brian Lord, I've talked about Brian before. He's with Premiere Speakers Bureau out of Nashville, Tennessee. And one day he was working with a client, found out that his client had a baseball player, I believe it was Lou Brock or Curt Flood from the St Louis Cardinals, coincidentally where I live, and he just went on Ebay and he found an autographed baseball and he sent it to his client afterwards with a thank you. And he put it in a little stand. The whole thing was maybe $20 / $25. And the guy has it put it on his desk in his office and every time he looks at it, he doesn't forget who gave it to him. And it doesn't have Premier Speakers Bureau's logo on it. I just think that's really powerful. I know where we're getting off the topic. I think this is on topic. This is where it all starts. So this is the beginning of that customer's journey. And creating that customer journey, all these little points on the customer's journey, that's going to create that viral nature where all your customers become raving fans and do your marketing. All right. So I get that, in that we want to make ourselves unforgettable. Pretend I'm your customer. And, by the way, if we get into this process and it gets a little long, we're going to take a break in the middle and come back to it. So when I interrupt you, don't feel bad. But I want you to help me and pretend in front of the world here, who's listening to our show. Let's say I approach you and I'm a customer service expert, I go out and give speeches on customer service and I've come to you to help me leverage some of the nice things people are saying. That's what I'm coming to you for, right? So take me through the process so that everybody understands how this works and how they can either do it themselves or take advantage using a firm like yourself. So the first thing is actually asking your customers to get their feedback. There's a really sad stat - it's only 13 percent of companies that actually ask for a review from their customers. All of these people do great work and 13 percent. So 87 percent of the people, they're never even saying 'hey, do you mind if you leave us a review?' And we talk about referrals a lot. When your customer tells their friend 'hey Joe, Shep he's the best.' That's great. That's fantastic. That's a personal referral. But if that same customer now takes that referral exactly what he was going to say to Joe, and now he creates a review for it and he puts that review online and he puts it on Google, he puts it on Facebook. It's the same as him now referring every single one of his friends on his social media network. Plus people that he's never met before. So this is incredibly powerful stuff. Instead of just referring one friend, those reviews have the impact of referring perhaps thousands of people through one awesome review. Right? I love that. So we're going to take a quick break. When we come back, I'm going to ask you to tell me exactly what I would say to a client. The exact words I would use to get them to post that review. And do I need you to send them a link to get it on Google. What do I need to do to make this happen? This is Amazing Business Radio. We're talking with Lars Kristensen, the Founder of NiceJob. We'll be right back. Don't go away. There's a whole lot more to come. We're back on Amazing Business Radio. This is Shep Hyken talking with Lars Kristensen and we're going through the process of what it takes to get a customer to give you a review. First, you have to ask for the review. It reminds me of the joke about how the genie gave somebody a wish and the wish was 'I want to win the lottery'. And three weeks later, the guy runs into the genie and he says 'you know, I haven't won the lottery yet'. And the genie said 'well, did you buy the ticket?' You have to ask the customer for feedback. And that's the first step. But I want to hear from you the exact words that we're supposed to use to get somebody to not just give us the feedback, but get the feedback in the right form, to the right place. You know, that kind of thing. Yes. Super. Great questions. So I'll give you a couple of keys. Right off the bat, make it personal. This is you talking to your customer. This isn't another forum email. This is something that's personal. Use their name. And then show them why it's so important that they leave a review with the wording. Things like 'this is gonna really help out your neighbors.' 'This is going to help out us.' Showing them the value of the review is going to help them appreciate why they're leaving it. And by and large customers want to leave reviews. Customers like sharing their experience. It's that social nature of it. And then when they do leave the review, it actually makes them more vested in your company because now they've contributed to your company as a whole. So there's a lot of great reciprocals on that as well. All right, so I'm going to use me as an example because I said I want you to pretend I'm your client. So I walk off the stage, the audience liked what I had to say. Good reaction from the applause, but more importantly the feedback that the client is getting is 'hey, that was a great speaker, gave us good information.' So a week later I have my feedback call. I do this with every client. We sit down and we debrief what worked, what might not have worked, anything I could've done to make it a better presentation, et cetera, et cetera. Let's assume that this client says 'Shep, you were great. Thank you very much. We're going to use you again sometime in the future.' Do I hang up the phone at that point and then draft an email or some kind of a request, or do I do it verbally? What's your suggestion? That's a great question. Leaving the verbal heads up that you're going to ask for a review is fantastic. Asking for the review verbally seldom happens, or seldom results in the customer actually leaving it. You're going to ask, they're going to say 'yeah, I would love to leave a review'. Then you're going to hang up the phone and they're going to be like 'oh, well, I don't know really what I should or where I should leave it' and they're not going to leave the review. You need to get something into their hands. So with NiceJob we do that in a couple of ways, and this is something that you can do on your own as well, but you can leverage software to make it a lot more effective. So the first thing is sending a message to them on their own device, so that's on their mobile device or through their email. We prefer sending the message onto their phone right away because it's in their hands or in their pockets. Right at the point of peak excitement. So you try to get them right when they're most excited about the service that's been delivered. And get that message going out to their phone that has specific instructions and a link for leaving the review. And you have to make it really, really easy. If there's any pain points to leaving the review, simple things like 'oh, now I've got a log into some service', you're going to start loosing them. Yep. Right. And 'I've got to create an account, I've got to create an account and I've got to come up with a password. I don't want to do any of that.' Right. As soon as I have to do that I'm gone. Yep. And then getting the timing right. Getting that message going to their device at the right time. And often that's going to take a couple of requests because the first time maybe they're busy, maybe they forget, they had great intentions, they want it to leave it, but it just wasn't the right time. So sometimes friendly follow-ups, that can really help as well. Doing it in the right way, where it's not irritating the customer, but friendly follow-ups, encouraging them 'hey, I know you said you're going to leave a review, would you mind doing that? Here's the direct link. It'll just take a second.' Those kinds of things can really improve your conversion rate on reviews. So when I'm finished with that phone call and assume I'm doing a lot with corporate, usually executives, probably I want to stay away from using their personal cell phone. So I'll probably send the email. Who am I linking to and what am I linking to? Am I going to a review site like Yelp or where am I going? Because when we did our pre-show, you were talking about Google and Facebook - how does that work? So that's going to depend on a couple of factors. The two biggest factors there is which review sites going to be best for your customers and your industry? Where are you going to get the most exposure? So let's use the example of a home services company. When someone's looking for these services, they search on Google. First thing that pops up is the Google local three pack. You've got reviews front and center. That's obvious exposure. You want to be there, you need to be the guy. You need to be the guy on the top of there. But then the second factor is what's going to be easiest for the customer. So you could send them over to Google, but if they're not already logged in on Google, then they're going to be presented with a login form and then do they have their password? So doing it yourself is a bit tough. There's technology, like the software that we build, that detects where the customers are logged in beforehand and then make sure that we direct them in a spot that has no pain points. So we can actually figure out where the best spot to direct the customer is for you and avoid all those obstacles. And that's one of the reasons why it's so much more effective than just asking yourself. Okay. So Facebook is another place you probably like to see reviews. TripAdvisor, if we're not a hotel or a restaurant or somebody in that hospitality world, we're probably not going to be very effective on TripAdvisor. Yeah. Facebook reviews actually are super exciting right now. I think that it's one of those things that not a lot of people are that familiar with. But if you leave a review for your favorite company, like Shep, if you left a review for NiceJob on Facebook, all your friends would get a notification saying that Shep has just left a five star review for NiceJob. That's amazing. The viral aspect of that, that's incredible. So every time you leave a review, you're drip feeding every one of those friends in your social circle information about that company. You can't beat that. Right, I like that. And almost everybody has a Facebook account, they know what to do to log in. You've just got to get them to the right spot and make it easy. Yeah, two billion or so people! That's a few! That's a few more than we have in the US, that's for sure. So this is all truly fascinating information. It doesn't sound like it's that difficult to do. But the next thing is when you get that review and it's posted, there's more to it than just letting it sit there statically, isn't there? Definitely. You've got this marketing nugget. You've got this amazing piece of content and you want to use it so that review can be used through social media marketing. You can do that yourself, definitely. Taking that review and getting up there on social media. One thing we really recommend when you do that, if you have photos of that actual customer experience that you can include with the review, that becomes so much more powerful because your social proof is going to be your reviews, plus your photos. It just makes it more credible. Yeah, it totally does. And then posts with photos on social media to get about three times higher engagement. So that's a win-win. 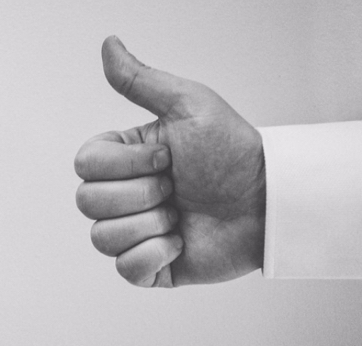 With NiceJob we take care of that process automatically, matching up the photos with the reviews and getting them out to your social media networks. So that's something that you can save a lot of time with software doing. But it's definitely something that anyone can do. Get those reviews up there on your social media pages and then onto your website too. Getting those reviews on your website, you're creating not just trust factors. One great review on the top of your page on your website could be your highest conversion rate factor on your website. But you're also creating an amazing stream of keyword rich, local, authentic content that's fantastic for search engine results. So you've got a lot of wins with re-using those reviews on different media that you have. This is proof of concept that customer service can truly be your best marketing weapon, if you will, in your arsenal of things that you do to make yourself competitive, make yourself stand out and bring in more business. We're going to take another short break. When we come back, Lars, I'm going to ask you what happens when we get a bad review. Do we panic? What do we do to figure out how this doesn't hurt our reputation? So we've got a lot more to talk about. Don't go away. This Amazing Business Radio we'll be right back. We're back on Amazing Business Radio. All right, we are talking about reviews. We're talking about how customer service is your best marketing strategy. But what happens if for some reason a customer says 'you know what, I wasn't as happy as I should've been'. And they leave a review that's not positive. Yeah, don't panic. That's the first thing. Negative reviews they can actually, if you look at them a little bit differently, they can open up the doors to some of the best marketing opportunities. So here you've got this guy and he's not happy. So you have an opportunity to show what kind of company you truly are. How you deal with it at that point could create a story that's about you as a company, that you can use over and over again, and you can turn that negative review potentially to a really good review. So yeah, don't panic with negative reviews. If anything, look at them as an opportunity to provide an exceptional customer experience. So I want to make sure that the audience listening understands. The negative review is posted. You go in, you start talking to the customer, find out really 'how did this happen? This isn't the way we like to do business. Obviously this isn't a review that we wanted to see. What did we do wrong? How can we fix it?' But here's the thing, my friend, Jay Baer, I've mentioned this a dozen times, I love this line of his "social media customer service is a spectator sport". Somebody that leaves a negative feedback or a comment that's negative, you now have an opportunity to publicly fix it. And I think that's what you're saying. You go in, you make a statement such as I just said 'hey, we're really sorry you feel that way. This isn't the way life in business. Can we jump offline for just a moment here so I can figure out what we can do to make this right?' Ideally, is this what we're asking? Is this the route you're taking? Yeah. And in that response, a couple of things that you really want to watch out for because that response to the review, that is public. You respond on Google to the review. Everyone sees that response right below the review. Your response here, this is a real thing that you have to spend some time crafting if it's a negative review. One, you don't want to defend yourself, generally speaking. You know you're going to have the occasional, hopefully you'll never have this experience that someone's on there just tearing a strip off you. But the objective here is not to win an argument. That's not the objective. It's to win the customer. That's right. The objective is to win the customer. And instead of just making it good again, make it exceptional. So yes, maybe you can just go back and, par for par, do what was missed. Okay, that's one way of approaching it. But if you want to make it exceptional, go beyond what was missed with the experience. Do something that they would have never expected that you would be willing to do to make this situation right. And put what you're offering as the response for that review. Because now that response, your offer to the customer, that's public fair, that's out there on Google. Everyone else who sees that negative review is also going to see what you offered to do to make it right. Right. Now I'm going to be the cynical one. I'm going to pretend I'm the cynical customer. I'm your client and you're asking me to do this and I say to you 'but Mr. Smart NiceJob person, I'm afraid that if I post that to the world, that I'm going to get a bunch of customers who are going to come in and make the same claim and now I'm going to have to do that with everybody.' Is that going to happen? We've never seen it happen. We deal with thousands and thousands of reviews. And providing that outstanding experience, if that happens to one extra person that he comes and he wants that experience, well you know, do it again, make yourself look even better! It's not going to kill you and if anything it's going to create this incredible reputation for you in the industry. And you're going to get more revenue per customer, longer lifetime value, more customers. There's no loss in providing that exceptional service. Right, I would say so. All right. We're coming down to our final moments. I always ask the one thing question as we start to wrap up here. And this is it, it's real simple. What's the one thing that you want to make sure this audience remembers or you want to emphasize something you know that we've already talked about or is there a new nugget? Is there a new nugget that you want to share with us? And I kind of call it the lightning round, but we've got a minute or two. So ready, set, go. Turn your customers into fans. You have a great service. You have a great product. Your customers love you. Get them talking about you. It's not enough that you just do that great service. You've got to take those customers and get them talking. That's the nugget. Every company has this incredible group of people that's working with them. Getting those customers, each one of them, to be a little marketing hub for you. That's the golden ticket. Love it. Love it. So we call this Amazing Business Radio for a reason. It's because we talk about how to create amazing experiences for customers. Hopefully we've given you an amazing lesson today. I want to emphasize that if you want to be known for being amazing, then you need to have the ability to let the world know how good you are. And what better way of doing it than to let your customers do the talking for you. That's what NiceJob does. By the way, it's NiceJob. One word N I C E J O B dot co. Not com, but just co. Drop the M and you go to nicejob.co and you'll find out more about NiceJob. You'll give Lars a call. Buy him a beer, he'll become your best friend and will tell you everything you need to know about how to use feedback to be amazing. Lars, thanks for being on the show, man. You are awesome. Thanks Shep. I had such a good time. Can't wait till we do it again. I hope we do. And by the way, a better word than awesome would be amazing. Well everybody that wraps it up. Another episode of Amazing Business Radio. We'll have another great episode next week, so make sure you tune in. This is Shep Hyken reminding you to always be amazing. Be sure to visit hyken.com to learn more about how to create amazing customer experiences.